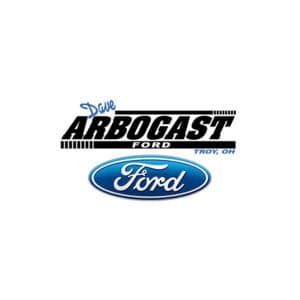 A long-time local automotive dealership, Troy Ford now carries a new name, Dave Arbogast Ford. The Troy Ford dealership has been in business since 1977. The acquisition coincides with the retirement of Jim Taylor, the owner of Troy Ford for 41 years. After months of going through the dealer process with Ford Motor Company, upon final approval, the deal was official as of Tuesday, January 29, 2019. The Dave Arbogast Group will be celebrating 25 years in the Troy community later this year. “We have been interested in Troy Ford for about 10 years, because of the Taylor name and legacy they’ve had in Troy. The culture of the two dealerships are very similar making it a perfect fit. We are excited to have Jim’s son, Greg Taylor on board. It is important to me that the Taylor legacy carries on with the dealership.” said Blake Arbogast, Vice President. The Arbogast Group is pleased retain the entire Troy Ford staff with plans to add up to approximately 50 jobs in the near future. In addition to adding new jobs, the property will undergo a few changes. The existing lot will be expanded to connect with the current facility at the Buick GMC location, which will allow for a large increase in the amount of inventory offered at the Ford store, model options on the lot will be increased by Ford itself with the expansion of their existing lineup, including the new Bronco and the new Explorer. Arbogast plans their own additions including new Ford conversion vans and new Ford lifted trucks. Arbogast is proud to serve the Troy community and Upper Miami Valley region for the last 25 years and is grateful for the continued loyalty. They plan to offer the same quality sales and service to existing Troy Ford customers as well as new customers in the future! “We’ll be reaching out to the customers of Troy Ford to let them know we’ll be taking care of them the same way the Taylor’s did.” Says Blake Arbogast. Browse all of our New and Pre-Owned Ford Vehicles in stock!